This class is specific to new parents and will be covering aspects of infant CPR and choking. As a thank you for being a part of the Full Circle family. All Doula clients with FCBC will receive a 10% discount for this class. Please be sure to adjust payment to reflect this. You will receive $4.00 off the total cost for this class. $40.00- $4.00 = $36.00 for this class/ per person. Payment can be made through e- transfer or credit card. If paying by credit card please call the office at 587-521-2717. Thank you. Our classes are specifically geared towards expectant parents, new parents, grandparents and any additional caregiver who may look after your child. Our instructor, Brandi is a mother, nurse and trained CPR instructor through the Heart and Stroke foundation. 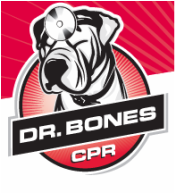 Our CPR training certification is second-to-none! Please contact us if you have any questions. Classes are held every three- four months at Full Circle Birth Collective's Edmonton office: 7903 14th Ave. S.W., from 6:30 p.m. to 8:30 p.m. Need a class sooner than we have scheduled? Depending on our instructor's schedule. ​If we have a minimum of six participants paid and registered to take the class, we may be able to request a sooner date. ​Please email our instructor, Brandi to inquire.